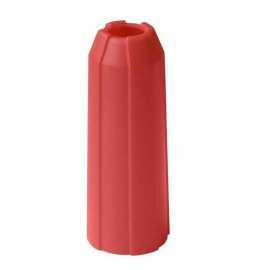 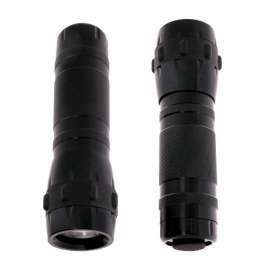 Swivelling plastic holder LH-24 is determined for professional use. 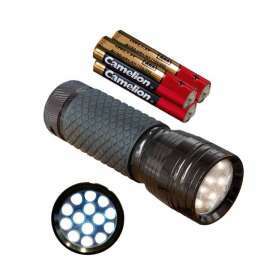 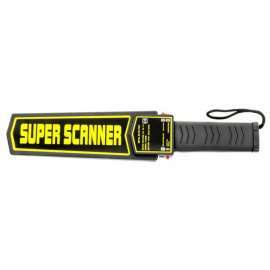 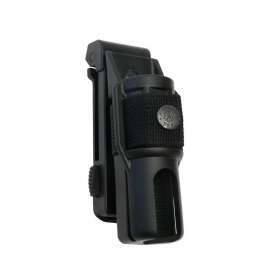 The holder enables a quick drawing of the flashlight. 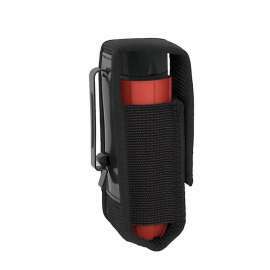 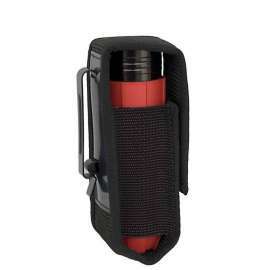 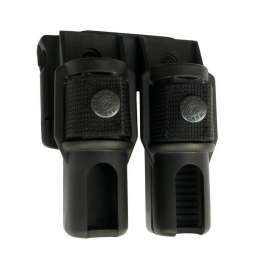 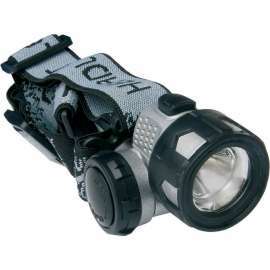 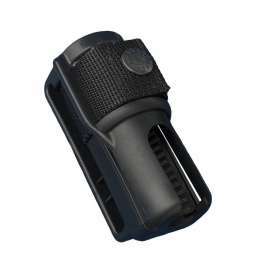 This holder uses the “Paddle” type fixture, which enables a comfortable carrying of flashlight. 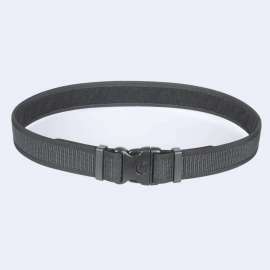 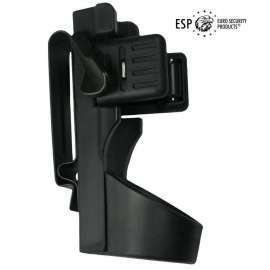 This holder can be rotated in respect to the belt by full circle of 360 degrees with 16 locking positions. 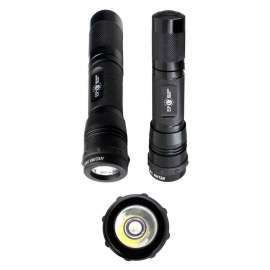 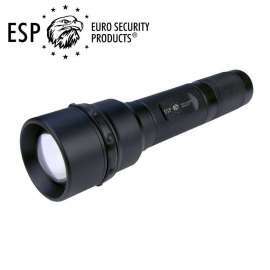 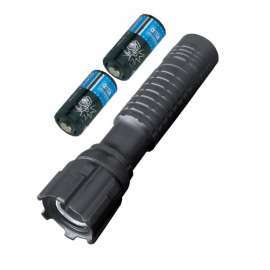 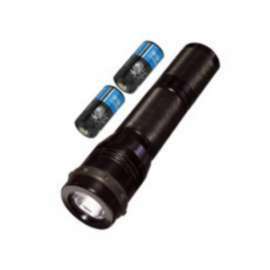 The type LH-24 is determined for the flashlights Helios 3 and Barracuda 3, as well as for flashlights of similar shape and dimensions with body diameter of 25mm maximum. 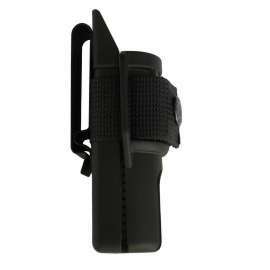 This type of holder uses the “Paddle” type fixture from the renowned company Fobus, which enables a comfortable carrying of flashlight. 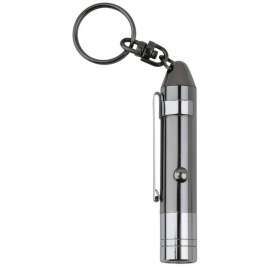 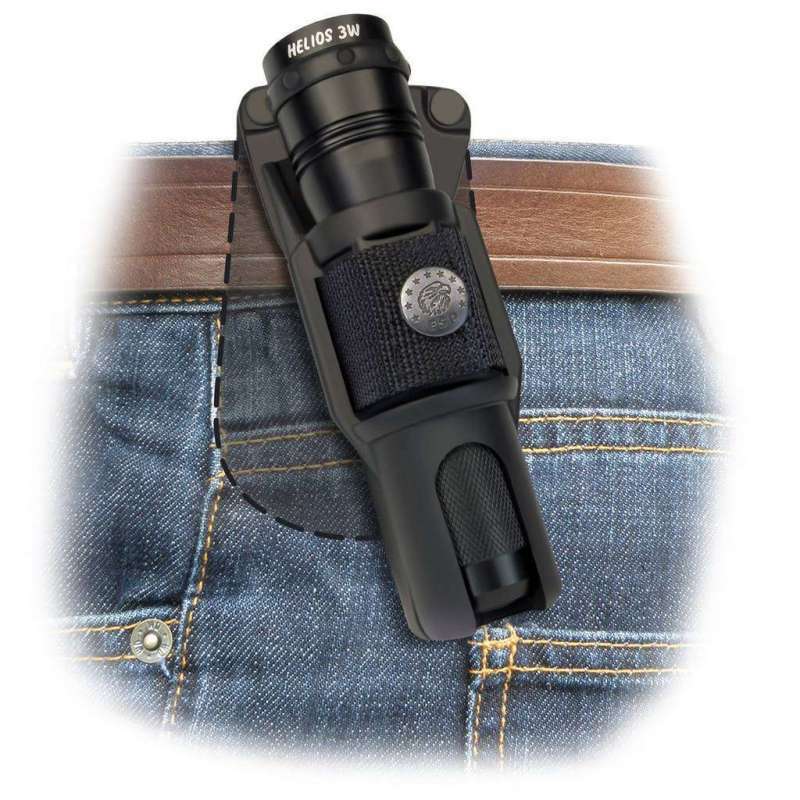 Its special bent shape holds firmly the flashlight not only during carrying, but also when it is necessary to draw it quickly. 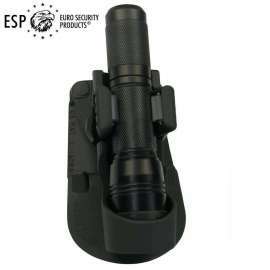 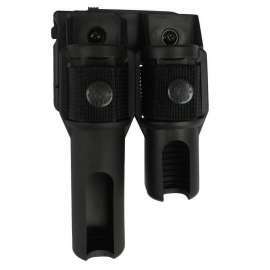 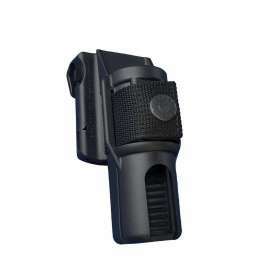 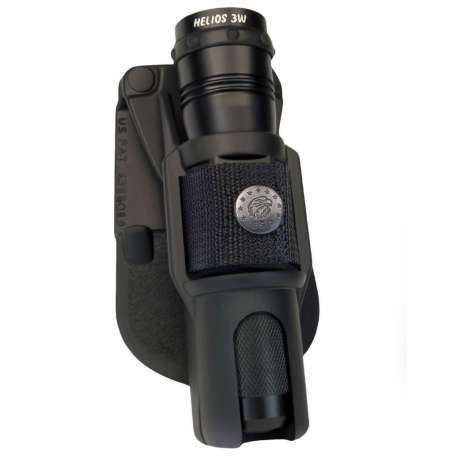 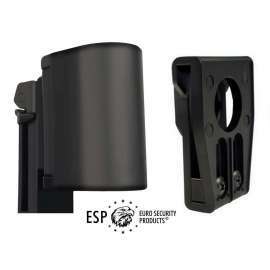 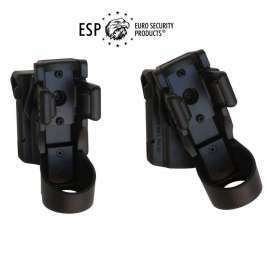 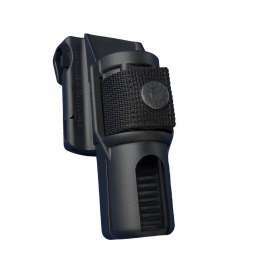 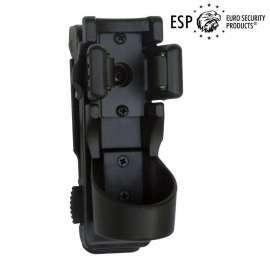 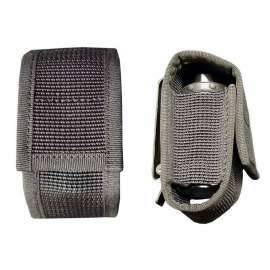 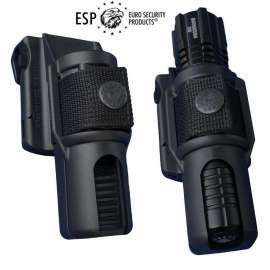 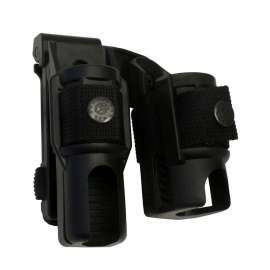 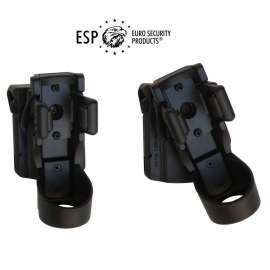 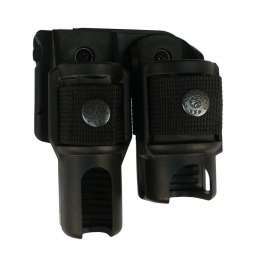 This holder, as one of few paddle type holders on the market, enables also a smooth rotation of the carried flashlight in respect to the belt in full circle of 360°, with 16 locking positions.